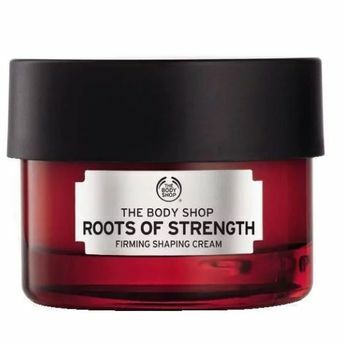 Unveil your skin's strength with The Body Shop Roots of Strength Firming Shaping Day Cream.This rich firming and shaping cream, enriched with nature's root extracts. Rich yet non-greasy, skin feels comfortably moisturised, firmer and denser. Fine lines appear reduced and skin feels strengthened. Use as the final step of your Roots of Strength skincare routine. Explore the entire range of Face Moisturizer & Day Cream available on Nykaa. Shop more The Body Shop products here.You can browse through the complete world of The Body Shop Face Moisturizer & Day Cream .